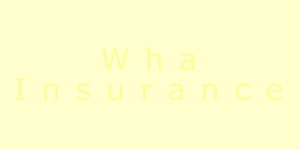 WHA Insurance has been an established insurance intermediary(broker) since 1955. We pride ourselves on the service we are able to offer backed up by the vast experience and expertise of our staff. We handle all classes of personal and commercial insurance including car,motor cycle, van, lorry, taxi, fleet, house, residential let,public and employers liability, shop, office, commercial property etc. All of our staff are experienced insurance people and as such we are able to offer advice on all aspects of insurance. We do not employ scriptreaders or robots and we are able to talk to you person to person which enables us to find the insurance product you need at a competitive premium. We hold agencies with most major UK insurers and Lloyds syndicates and as such one telephone call to us means that you do not have to spend hours scouring the internet or on the telephone ringing numerous insurance companies to find the best deal for you.